Holden Beach, NC, Ocean Isle Beach, NC and Sunset Beach, NC, known as the South Brunswick Islands, were not always islands in the sense that they are today. Before the U.S. Army Corps of Engineers dredged the Intracoastal Waterway in the 1930s, the only body of water separating their land mass from the mainland was the Elizabeth River. The beach waters here were mainly used by local residents for fishing excursions. Today, tourism is the main industry, however, more and more people are making the area their permanent home. The temperate climate, the natural beauty of the area with its south facing beaches, the spectacular sunrises and sunsets and the abundance of recreational opportunities draw these vacationers and permanent residents to the area. The South Brunswick Islands include three beach areas that are perfectly suited to family vacations. Golf is a favorite pastime in this area, with courses around every bend. The most popular vacation destinations in North Carolina, each island lures visitors for different reasons. No matter which location you choose, everything you need to live or vacation by the water is here. For a day away from the beach you can visit the nearby towns of Shallotte, NC or Calabash, NC or hop across the state line to Myrtle Beach, SC. If you have your own small plane you could conceivably fly into Ocean Isle Beach, NC as there is a small airport in the mainland section of the town. Whatever your mode of transportation, once you arrive your first priority will likely be a place to stay. If your preference is a hotel on the beach, then Ocean Isle Beach, NC is the place for you. You will find three hotels on the beach, each with its own personality. The Ocean Isle Inn, located at 37 W. First Street is an award winning resort. You can choose an ocean view room or a sound view room where you will find hand-made teak furniture, tiled floors and bright tropical colors. These amenities, coupled with complimentary deluxe continental breakfast, a heated indoor pool and an ocean-side pool, a Jacuzzi spa and a private beach access, are bound to make your stay an excellent experience. This hotel offers midweek Supersavers discounts during the off-season, weekly rates and AAA and AARP discounts. You might also consider The Winds Resort Beach Club located at 310 E. First Street. This hotel is rated the AAA highest rating and has a range of accommodations available. Your choices include studios, mini-suites, deluxe rooms, one - and two-bedroom suites, and resort cottages with four, five or six bedrooms. The Garden Bar Restaurant and oceanfront, poolside Tiki Bar serve a light menu and a complimentary hot Southern breakfast buffet is served daily. You can take part in a Free Summer Golf Program from June through August with free greens fees for all guests of The Winds on a selection of top area courses. Another hotel you will find on Ocean Isle Beach is The Islander Inn located at 57 W. First Street. This oceanfront family hotel offers you 70 beautifully appointed guest rooms from which to choose. AAA and AARP discounts and off-season rates are available for you. The beach stretches for seven miles of fun in the sand, sea and sun. Loggerhead Sea Turtles nest and hatch on these beaches from May through October. During nesting you can name a nest for a small donation to the turtle watch program. Volunteers watch the nests nightly during their expected hatching times to assist the baby turtles into the surf. You can attend weekly learning lectures provided by Ocean Isle Beach Sea Turtle Protection Organization at the Ocean Isle Beach Community Center on Tuesday nights during the summer. You can charter a boat and head for the deep seas or fish from the Ocean Isle Pier where you can purchase the only breakfast on the Island at the Grill. If you need fishing supplies like tackle, bait, fuel or clothing, you may want to visit the Ocean Isle Fishing Center located on the causeway to the island. You can visit the Museum of Coastal Carolina, located on the island, where you can learn all about what is beneath those waves you have been enjoying. Here you can walk through The Ocean Reef, a seascape diorama that surrounds you with life-sized models of sharks, dolphins, game fish, octopi and crustaceans. There are a number of hands on exhibits including a touch tank as well as a film about the loggerhead turtles that lay their eggs on these very beaches. There is also a gift shop where you can purchase mementos of your visit. Don’t miss the special family programs during the summer. Inland, you will find the Silver Coast Winery, an award winning winery that provides tastings, tours and events throughout the year as well as their very own wines for sale. If playing golf is your thing, you will definitely enjoy your stay here. The Town of Ocean Isle Beach, NC boasts 26 area courses within a 20 mile range. Tiger's Eye Golf Course, Ocean Ridge Plantation, Lions Paw Course Golf Course and Brick Landing Plantation Golf Course are all located in Ocean Isle, NC and each offers 18 holes with a par 72. In nearby Shallotte, NC you will find the Brierwood Golf Club with 18 holes over 6,607 yards and a par 72. All are public golf courses. According to American Profile magazine, in 2012 Holden Beach, NC was named the Best Family Beach in the US by Stephen P. Letterman, also known as Dr. Beach. A remarkable bridge that connects the mainland to Holden Beach rises 65 feet above the Intracoastal Waterway, providing a stunning view of the ocean and a sweeping entry to the island. Holden Beach is quiet and residential in character. In fact on the town website you will find this statement: “Holden Beach is proud of what we do not have.” What they do have is 9 miles of oceanfront beach, sand, sun, sea, temperate weather and a serene quality of life. The only hotel in Holden Beach, NC is a small family owned establishment located on the mainland side of the Intracoastal Waterway. Gray Gull Motel is very well-maintained and courteously run. The closest inland hotel, Econo Lodge Inn & Suites, is located in Shallotte, NC. This hotel offers free continental breakfast and an outdoor pool. If you have your heart set on staying on the beach, do not despair. You can find a number of beach rentals in Holden Beach, NC and a number of real estate companies whose realtors will be happy to help you find the perfect beach house for you. These include Alan Holden Vacations; Brunswickland Realty; Hobbs Realty and Coastal Vacation Resorts Holden Beach, all located on Ocean Boulevard. While there are limited commercial establishments on the island, the causeway leading to the island is lined with specialty stores and shops. More shops and a Food Lion grocery store are located on Holden Beach Road. At kdmorris Art Gallery and Wine Shop you will find a combination of art work of the owner as well as other artists. These include paintings, sculpture, pottery, jewelry, handbags, hand-dyed silk scarves and other gift items. You can purchase wine, enjoy weekly complimentary wine and cheese events or take a painting class that includes a glass of wine. Boomer’s Rentals has bikes for every member of the family, plus everything else you need, from beach to household items. At Cappuccino by the Sea, you will enjoy some of the best coffee and espresso in town. You can also choose from an extensive line of gifts, jewelry and more. 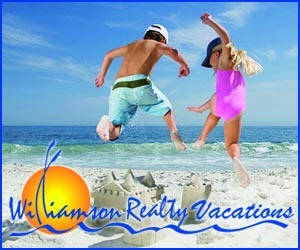 Beach Fun Rentals, located on the island on Ocean Boulevard is a full-service vacation equipment rental company and retail store. You can rent kayaks, surfboards, boogie boards, skim boards, bicycles and grills by the day or week and have them delivered and picked-up if you are staying on the island. Also on island you can enjoy a multitude of flavors of classic Italian Ice at Sunset Slush. The Town of Shallotte, NC, just 10 minutes, away has several shopping centers, which include grocery stores and national chain stores like Belk’s, Home Depot, Sears, Big Lots and WalMart as well as a number of locally owned shops. You will also find a movie theater and the North Carolina Welcome Center there. There are excellent restaurants on Holden Beach, NC that both provide evening entertainment in the form of music during the season. You will find Castaways Raw Bar & Grill on Ocean Boulevard. A great place to have a meal at the beach, Castaways is open and airy and overlooks the ocean. The scrumptious menu includes Spinach Artichoke Dip, Bubba's Oyster Stew, and a variety of sandwiches. The house specialty is fresh seafood including the Steamer Pot, Peel-n-Eat Shrimp, Shrimp and Grits and Oysters by the Bucket - steamed or raw. You can wash it all down with beer, wine, and specialty drinks. Boating, surf fishing and hiking the island are very popular activities. There is a fishing pier, and the island is a sea turtle habitat. Two large events that attract crowds to Holden Beach happen in April, before the summer season begins, and in October, after the end of the season. These are Days at the Docks and Festival by the Sea. These are weekend events and it would serve you well to remember that both Spring and Fall are excellent times to visit the beach. Days at the Docks includes all of the festival activities like music, arts and crafts and food as well as huge kites sailing in the wind. A special event called a Bopple Race is unique to this festival. The NC Festival by the Sea is held beneath the soaring Holden Beach Bridge. This event includes a parade, and a kids’ area in addition to the usual festival events. There is one golf course actually located in Holden Beach, NC but the town is surrounded by a host of others. Lockwood Folly Country Club at 19 Clubhouse Drive was carved from a 100-year-old private hunting preserve, bordering the Intracoastal Waterway and the Lockwood Folly River, with an ocean view. It is Willard Byrd designed with 18 holes (par 72), pro shop, cafe, practice range and turn room. In nearby Shallotte, NC you will find Rivers Edge Golf Club & Plantation, an Arnold Palmer Championship Golf Course. You can play 18 holes with five sets of tees, have a drink in the clubhouse, use the locker rooms and shop at the pro shop. Holden Beach, NC also sports a golf school and driving range. The Holden Beach Driving Range and Golf School is located on Holden Beach Road. Here you can practice at a lighted facility where you will find 16 hitting mats and a beautifully manicured grass tee hitting area. You can attend a golf clinic or take private or semi-private lessons from the owners who are both certified teaching golf pros and can take any golfer or novice to the next level. Sunset Beach, NC attracts beachgoers who want the simplest of amenities – sun, sand and sea. Unique to Sunset Beach is a walk or a bicycle ride from the beach to Bird Island, where endangered species thrive and you can leave a message in the "Kindred Spirits" mailbox. Bird Island is a 1,300 acre State Preserve barrier island that is connected to Sunset Beach and is home to Loggerhead turtles and the purple sandpiper, found only on Bird Island. The shoreline, dunes, maritime forest, and marshland are also important habitats and nesting areas for various species of birds that are threatened or endangered. The only accommodation on Sunset Beach besides a house rental is the lovely Sunset Inn where you can choose from 14 rooms, each with a different theme and decor. The inn serves breakfast and special rates are available off season and on weekdays. There are two agencies located on the island where you will find helpful personnel to assist you in finding the rental you prefer, whether your choice is to vacation on the ocean, the Intracoastal Waterway or any other location. These are Sunset Properties and Sunset Vacations - Sunset Realty and both are located on Sunset Boulevard. A few shops are located on Sunset Beach, NC. You can stop at Cooter Creek Paddlesports to sign up for kayak tours as well as hunting and fishing tours. At Julie's Rentals you can rent your kayak as well as bicycles, umbrellas, beach chairs and other beach items. Alley Oop Surf Shop is the place to find all your surfing needs and you can get deliciously refreshed at Sunset Slush where you will enjoy some Italian Ice. On the mainland portion of the town you will find shopping centers, grocery stores, small boutiques, dining, golf and the Ingram Planetarium. The Village at Sunset Beach, located at the corner of N.C. Highways 179 and 904, is an attractive shopping center anchored by an upscale Food Lion grocery store. Here you will find a gas station, a bank, restaurants and retail stores including J. Huffman, a ladies' fashions and accessories boutique; The Blue Heron Gallery, an excellent choice for eclectic art and gifts; and The Pelican Bookstore, a cozy place to browse for new and used titles, gifts or books highlighting local interests. You can dine at two excellent seafood Restaurants in Sunset Beach, NC, both located on Sunset Boulevard. Crabby Oddwaters Restaurant and Bar features a raw bar, some very interesting appetizers and wonderful nightly specials. At Twin Lakes Seafood Restaurant your food will be prepared by an award winning chef. If you travel south a short distance you can dine at any of the renowned restaurants in Calabash, NC. You can play at several golf courses located in Sunset Beach including, The Pearl with two 18 hole courses, each a par 72; Sandpiper Bay Golf & Country Club with three courses of 9 holes each with a par 36 each; Sea Trail Golf Resort & Conference Center with 54 holes of golf; Oyster Bay par 70 and Thistle Golf Club with 3 courses and 27 holes.